Vedas—which literally mean ‘knowledge’, in ancient Sanskrit—are referred to as the four oldest texts originating in the ancient Indian subcontinent. The basis of the Vedic religion comes prior to the Hindu religion. The oldest of the four, the Rigveda, was composed orally in Sanskrit in the middle of the second millennium BC. Scholars believe there are four Vedas: the Rigveda, the Yajurveda, the Samaveda and the Atharvaveda. Each Veda has been subclassified into four major text types – the Samhitas (mantras and benedictions), the Aranyakas (ancient texts on rituals, ceremonies, sacrifices and symbolic-sacrifices), the Brahmanas (commentaries on rituals, ceremonies and sacrifices), and the Upanishads (texts discussing meditation, philosophy and spiritual knowledge). Hindus consider the Vedas to be apauruṣeya, which means “not of a man, superhuman” and “impersonal, authorless”. The Vedas are ancient Sanskrit texts of Hinduism. 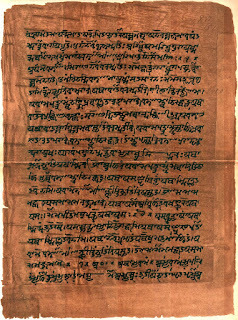 Above: A page from the Atharvaveda. Image Credit: Wikimedia Commons. Now, computer scientists are analyzing the sacred Indian texts an applying the methods of mathematical logic to achieve a key of standards by which they are able to teach Ethics to AI. According to researchers from the Institute of Logic and Computation at TU Wien, a machine could be presented with a certain set of obligations and prohibitions, and follow certain rules to automatically determine if a certain type of behavior is acceptable or not: for example, a car without driver that should make ethical decisions in the event of an accident. “The Vedas are a large body of ancient Sanskrit texts, some of which contain very clear moral statements – such as ‘one should not harm any living being’”, explains Agata Ciabattoni from the Institute of Logic and Computation at TU Wien. Ciabattoni is supervising the research project, in close collaboration with Elisa Freschi, Sanskritist from the Austrian Academy of Science. Their goal is to understand how ancient Vedas can help teach Ethics to AI. Scientists from TU Wien say there was a philosophical school in ancient called Mimamsa, which uses a rigorous approach to analyze the obligations and prohibitions mentioned in the Vedas. For many centuries, the scholars of Mimamsa formulated rules to draw conclusions from the premises and to resolve apparent contradictions. Researchers point towards a dispute called the “Syena sacrifice”, a sacrifice in the Vedas aimed at killing enemies. How can this be harmonized with the rule of not harming any living being? 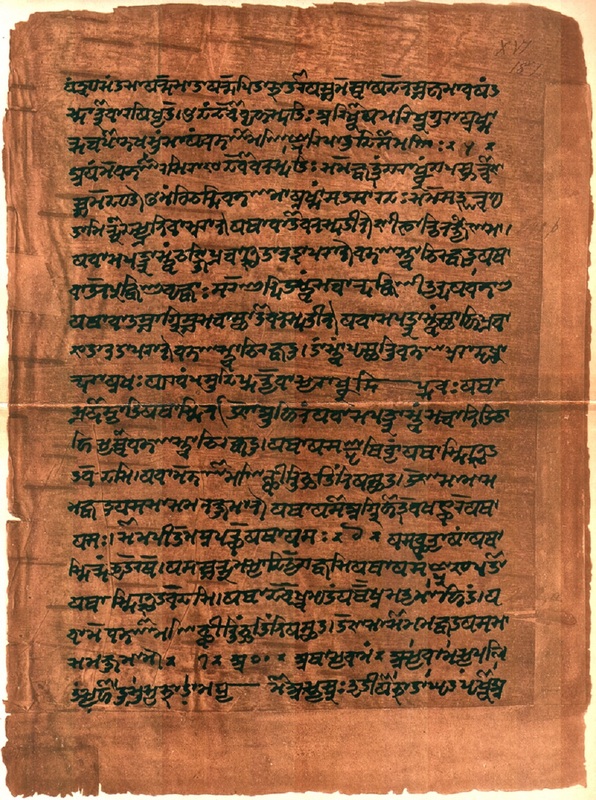 “For a Hindu, the Vedas are absolutely correct, so there can be no contradiction,” says Agata Ciabattoni.In the seventh century, Prabhakara, an Indian philosopher of the Mimamsa tradition, solved this problem by applying several rules of the Vedas in a logical, but rather complicated manner. Several scholars refused to acknowledge that this reasoning was correct, and this dispute continued for centuries. Therefore, Agata Ciabattoni and her team of researchers worked closely with ancient Sanskrit experts to translate the rules of Mimamsa and the Vedic laws into mathematical formulas, and they were able to show that Prabhakara had been right all along. Given the prescriptions of the Vedas, the Prabhakaras logic was perfect, showing how mathematical logic is able to solve an old philosophical dispute. As noted by experts in the new study, vlassical logic deals with statements that are true or false, and provides rules that we can use to combine true statements, creating new statements that are also true. This is how mathematics works: if we start with something true and follow a certain set of rules, the final result will therefore be true. However, scientists at TU Wien say this kind of logic is not useful if we want to deal with ethics. “When we deal with prohibitions and obligations, we are not interested in what is true or false, but in what we should or should not do,” concludes Ciabattoni.